From those days of 1902 when Willis carrier had first invented modern air conditioners to till date, there has been a lot of innovations. These innovations have changed the way you are using the air conditioning system. Some of them have made your air conditioners more effective while some other have helped in reducing energy consumption by the HVAC system. There are many innovative techniques that may be still in the development phase but once they are implemented they are going to bring about the revolution in use of Air conditioners. Here are some of the best air conditioning inventions that must be known to you. Building automation system has its positive effect on the HVAC systems too. With automation, each occupant has the permission to adjust their workspace temperature as per their need. Based on the occupancy of the room the air quality can be adjusted. Along with it, adjustment can also be made in terms of temperature, airflow, and humidity. The systems are so designed that they can distribute both constant and variable air flow. Actually, with integration with the building automation system, an HVAC will operate for optimization of maximum resources. 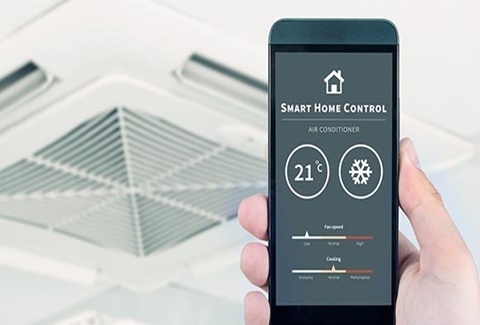 As a part of automation, there are different innovations carried on at different places which are and will change the way HVAC systems are operating. With the use of sensors that are hung from the ceiling along with the aluminum rods, Engineers have come up with a new idea. With any movement in the rooms, these sensors will be activated. This will ensure that HVAC systems will operate only in presence of people in the room. Thermally driven air conditioning is another design that is implemented recently. Although this is not yet a common technology in this solar energy is used for running the air conditioners. Chromasun, an Australian company has tried this alternative to gift the world with low-cost HVAC. It can eliminate the electricity cost with the help of its double chiller design. Water powered air conditioning and ice-powered air conditioning are two more systems that are in the experimentation stage. Once they are implemented they are expected to bring about a change in the HVAC systems and their utilities. Whether its utilization of the hot water to cool down systems or ice for keeping the building cool both of them seems promising for the future. Eco Vent, the sensor-driven ventilation has also brought about the innovative approach. In Eco vent, there are sensor-driven vents that will replace the existing floor, wall and ceiling vents. It can be controlled by a smartphone app. It will be easy to control the room temperature even when no one is not at the home. Actually, this concept leads to the idea of Smart homes. This system will also use the sensors for monitoring the air pressure, room temperature and the indoor air quality of the home. Now the phones too have become smart. You cannot think of your life without a smartphone, thus it is quite obvious that the place where you live in will be smart sooner. 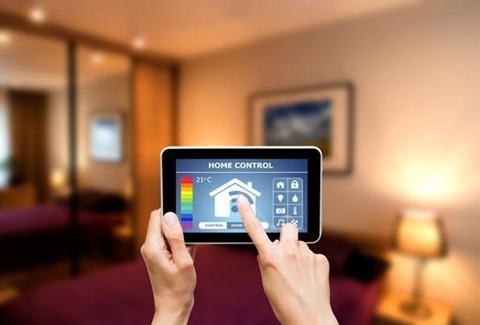 Smart Homes are the new direction towards which the innovative minds are working presently. 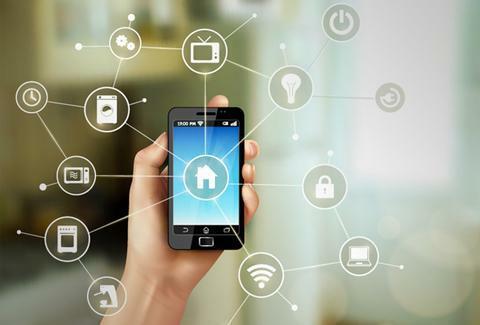 Different smartphones apps have now made it possible to connect with the home lighting and heating system. By pushing a virtual button on the apps it is possible to increase the cooling system or switch on the surveillance system at your home. With time these so-called smart technologies will be applied to almost every home. It is quite natural that in order to cope with the technologies that are changing the engineers will also work on the HAVC systems. The designers will take care that the air conditioning matches with the smart homes and fulfills the need. 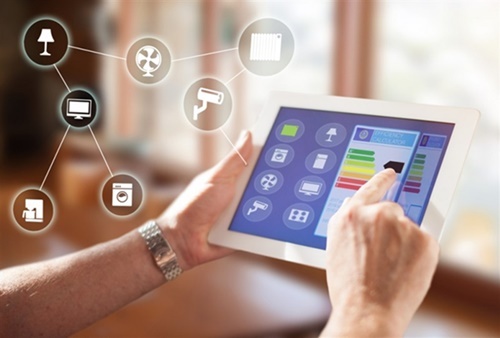 Taking a step further into the smart homes things will change and homes will be fully automated. You do not even have to switch on something. Depending upon the requirements things will be done automatically. The air conditioners will work on the sensor and the moment it founds the temperature above or below the desired temperature it will start functioning. For this use of different sensors are already in practice. When this will become a regular activity such sensors will be used regularly. They will help you control the room temperatures as well as ensure that the energy bills are under control. Presently it may seem impossible but with the advent of 3D printing, the day is not far away when you will get 3D printed ACs. The inventions in this field are already in progress and a company has created a 3D printed Brick. Yes, a Brick that can draw the moisture out of a place to cool it down. It’s true that this innovation cannot change the temperature of large spaces, but who knows that whether the wheel has started rotating. Days may not be far away when 3D printed AC machines will be cooling your homes down. Only tomorrow can answer this! As it is known that Carrier didn’t invent Air conditioners to cool down rooms. Rather he had some other plans, and you never know how some simple innovative idea may change the history of Air conditioners. When the environmentalist are concerned on excess use of ACs it has become a challenge to the rest of the world to make it eco-friendly. Different innovative approaches have shown that engineers are giving their best for this and days are not far away when the idea of Air conditioners will be different from what it is sought today!